It’s almost that spooky time of year again! Whether you are going door-to-door trick or treating, attending a party dressed in a clever, silly or scary costume, or simply getting together with friends and family to watch scary movies, Dr. David R. Hennington and our team want you to keep in mind the following tips from our friends at the American Dental Association to help reduce tooth-decay. •Eat treats with meals. Saliva production increases during meals washing out food particles and helping to neutralize cavity causing plaque acid. •Consider chewing ADA-accepted sugarless gum after meals. Certain sugarless gums have earned the ADA Seal of Acceptance for scientifically proving that chewing the gum for 20 minutes after meals helped prevent tooth decay. •Follow the 1-2-3s of good daily oral hygiene: Floss once a day, brush twice a day and eat three balanced meals a day. •Visit Dr. Hennington for regular checkups. HAPPY HALLOWEEN from your friends at Trade Winds Dental! Don’t put off your next visit to Trade Winds Dental any longer! Over the years, oral health issues have been increasingly linked to other health concerns, such as heart disease. Cardiovascular disease remains American’s number one killer, claiming more lives than any other cause of death, according to the American Heart Association. Believe it or not, an estimated 80 percent of American adults currently have some form of gum disease. Studies have shown a correlation between gum disease and heart disease, underscoring the importance of good oral health care, both at home and by visiting the dentist. Studies are also beginning to suggest that patients, especially those with periodontal disease, are believed to have an elevated risk of heart attack and stroke. Since most patients are not regularly visiting a heart specialist, their regular visits to Trade Winds Dental can help detect early warning signs of heart issues, prevent gum disease or at least catch it in its early stages. Additionally, if it’s been more than six months since your last visit to our Georgetown office, please give us a call! There are so many ways you protect your teeth throughout your orthodontic treatment at Trade Winds Dental. You brush your teeth twice a day, floss regularly and protect your mouth and appliances from being damaged. But did you know there is another, often forgotten about, way to keep your teeth clean and healthy during your treatment? Fluoride – a mineral that helps prevent cavities and tooth decay – can help keep your teeth strong! Fluoride comes in two varieties: topical and systemic. Topical fluoride is applied directly to the tooth. Topical fluoride includes toothpastes and mouth rinses. Systemic fluorides are swallowed in the form of a dietary supplement. Fluoride used in the dentist’s office is often times a stronger concentration than in toothpaste or mouthwash, but is available at some drug stores or a pharmacy (ask your doctor how to purchase professional strength fluoride). A fluoride treatment typically takes just a few minutes. After the treatment patients may be asked not to rinse, eat or drink for at least 30 minutes in order to allow the teeth to absorb the fluoride. Depending on your oral health or doctor’s recommendation, you may be required to have a fluoride treatment every three, six or 12 months. Your doctor may also prescribe a fluoride product such as mouthwashes, gels or antibacterial rinses for at-home treatment. 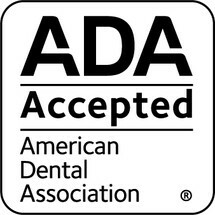 When choosing your own fluoride product, be sure to check for the American Dental Association’s (ADA) seal of acceptance. Products marked with the ADA seal of approval have been carefully examined and have met the criteria of the ADA for safety and effectiveness. Take care of your teeth, and smile bright! What's the deal with coffee and tea? At Trade Winds Dental, we know most folks enjoy a hot-brewed coffee or tea in the morning, followed by a cola (or more coffee) in the afternoon. But what many don’t know is that both coffee and tea are especially tough on your teeth, because tannic acid (the substance that makes the dark color) etches into the pits and grooves of tooth enamel, and can stain your pearly whites brown. So, if you can’t give up that morning cup o’joe, what can you do? Dr. David Hennington and team suggest rinsing with a glass of water after every cup. If you enjoy iced coffee or tea, drink your beverage with a straw so that tannins don’t make contact with your front upper and lower teeth. Even if you’re not a big coffee drinker, Dr. Hennington encourages you to swish and swallow some water at the end of each meal. Water, after all, helps neutralize acids left in your mouth after eating and also reduces cavity-causing bacteria. Our team at Trade Winds Dental also invite you to visit our convenient Georgetown, TX office for whitening options. We can help bleach your teeth with proven and professional products. To learn more about whitening options at our office, please visit our website, ask us on Facebook or give us a call! Posted in UncategorizedLeave a Comment on What's the deal with coffee and tea?